WooCommerce is an open source ecommerce plugin designed for merchants who prefer to run their small to large-sized online stores using WordPress. This plugin has many remarkable features and capabilities. For one, it allows you to sell anything. It is plainly simple to install and customize, and has free base products. As of now, the plugin has been adopted by over 380,000 online retailers. It has attracted significant popularity because its base product is free and open source. Because of its endless flexibility and access to hundreds of free and premium WordPress extensions, WooCommerce now powers 30% of all online stores which has given it the edge over other ecommerce platforms. The WooCommerce Bookings allows users to sell blocks of time as appointments. The WooCommerce Memberships allows users to restrict access to certain parts of their WordPress website and also sell access to these parts. WooCommerce enables you to sell goods on your store, ranging from physical to digital ones. It offers product variations, multiple configurations, and instant downloads to shoppers. It also sells affiliate goods from online marketplaces. Goods could be photos, music, books, or anything else. Considering WooCommerce is an extremely popular platform, it is target to attacks. But these dangers are properly dealt with at a high rate. Largely thanks to the open source nature of the application, many contributors help secure it faster than close source ecommerce plugins. The WooCommerce company works hand in hand with the WordPress security experts and other professionals. Routinely, susceptibility to dangers is checked and fixed. Applying these security updates and bug fixes is easy because of its one click update system. In addition to this, you can follow other guaranteed services in order to keep your customers safe. This feature, therefore, makes WooCommerce very safe. Further, the versatility of WooCommerce is unmatched as it supports many business models. It uses Amazon Affiliate to set up its subscriptions, and the plugin allows you to completely tailor your site to fit your needs, so you can reach the customers interested in your products. WooCommerce also has detailed statistics. It provides pie charts and neat data on your daily sales, the statistics of individual customers, total of average orders and much more. This feature has made it easy to know how your website performs on a daily basis. To aid the analytical solution, tools like MixPanel, Hot Jar and KissMetrics can be employed. WooCommerce also reduces online payment fraud possibilities. It operates on a fraud prevention module that helps screen all order transactions powered by WooCommerce. Its sophisticated validation algorithm accurately detects fraud patterns to help you minimize chargebacks and fraud losses. This feature makes it completely safe for both website owner and users. 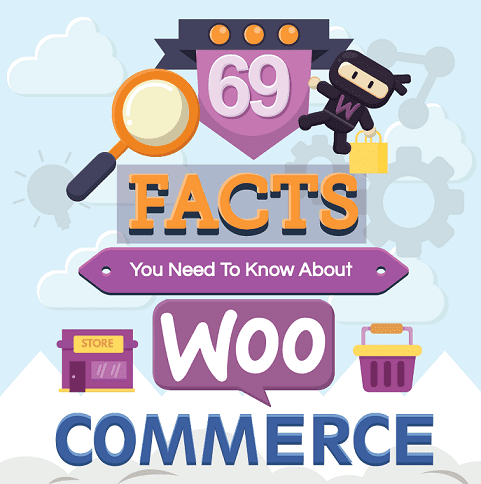 To find out more intriguing facts about WooCommerce, check out the infographic below.